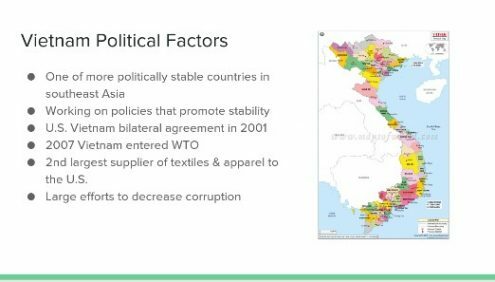 A series of new lectures were developed to cover the following topics: cotton economics; major cotton products in the U.S. and global markets; major cotton product suppliers in the U.S. and global markets, and traceability and transparency of global cotton product sourcing. 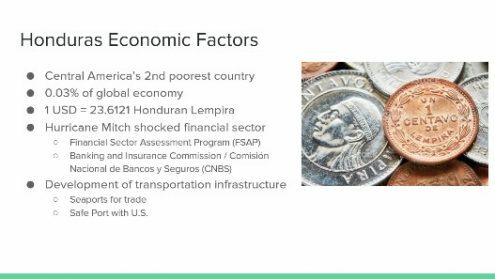 Two in-class activities added are 1. identifying and analyzing major cotton products in the U.S. and global markets, and 2. identifying and analyzing major cotton product suppliers in the U.S. and global markets. 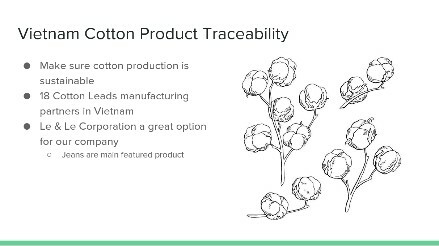 Assignments included are 1. analysis of the value of cotton traceability for achieving sustainability goal, and 2. application of cotton treatability data in cotton product sourcing process. 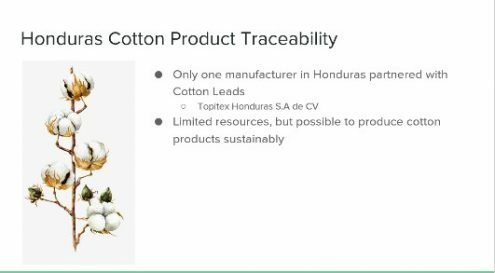 A semester-long group project was developed for sourcing sustainable cotton products for the U.S. market using a cotton traceability framework. 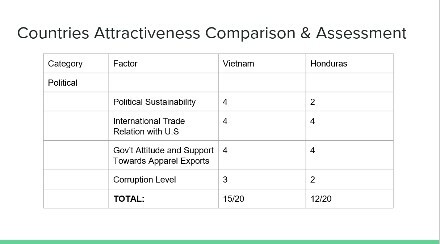 Each group, consisting of 5 to 6 students, analyzed the attractiveness of two major cotton product supplying countries as potential sourcing platforms in terms of political factors, economic factors, social factors and cotton product traceability (P.E.S.T.). Each group submitted a comprehensive P.E.S.T. 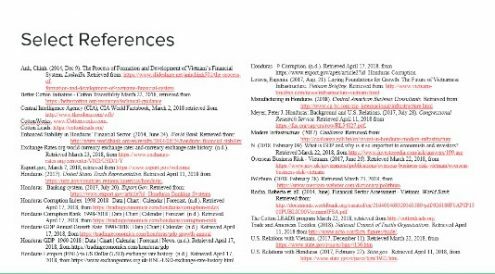 analysis report and orally presented their findings at the end of this semester. 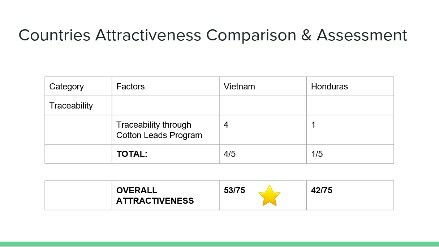 The achieved student learning outcomes include 1. understood cotton economic impacts; 2. comprehended the importance of traceability and transparency for sourcing sustainable cotton products; 3. analyzed the trends of major cotton products and suppliers; and 4. understood and applied the best practices and traceability in sourcing cotton products using the information from CottonWorks.com and the Cotton LEADS™ program. 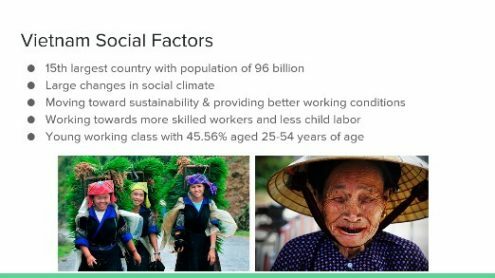 This is a global sourcing research project. 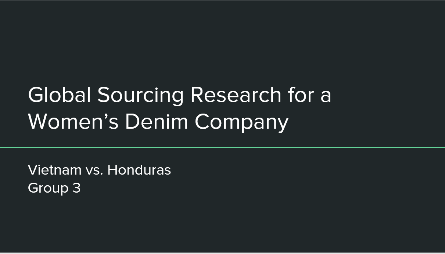 Your group is the newly appointed research team working with the Vice President in Sourcing for an emerging cotton apparel company. 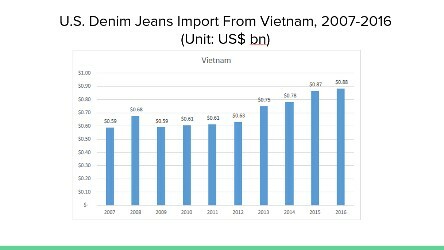 The company is seeking to internationalize its operations as domestic cost pressures cut into manufacturing margins (the reason to explore outsourcing opportunities). 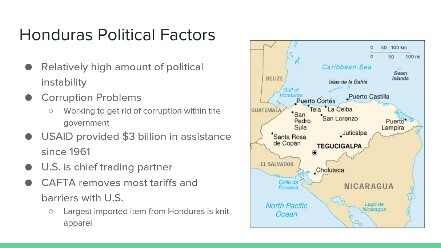 The company has identified TWO high-potential supplying countries (e.g., China and Mexico) to do business with (see your country assignments). Your group needs to fulfill the following tasks in a structured analysis. e.g., CottonWorks; Cotton Leads, Cotton Inc. etc. 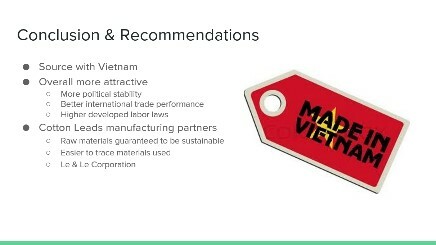 Assess and compare the relative attractiveness of your designated countries as sourcing platforms, for your products. 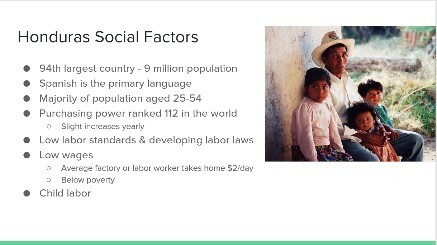 The assessment and comparison should be based on the detailed Political, Economic, Social, and Traceability (P.E.S.T.) analysis. Each of P.E.S.T. is multifaceted. 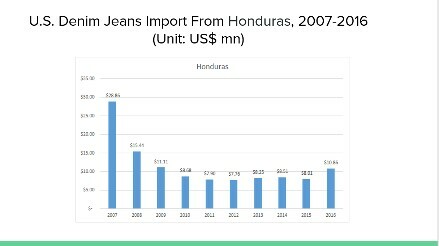 Is there policy to support export? 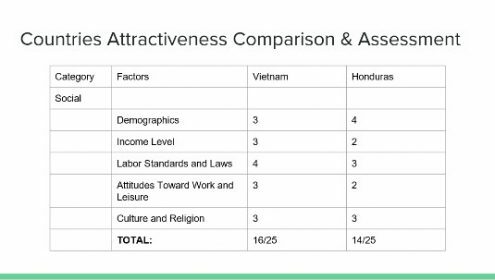 Based on the assessment and comparison, the group should develop a scoring system (1-5 Likert Scale, 1= very unattractive, 5= very attractive. 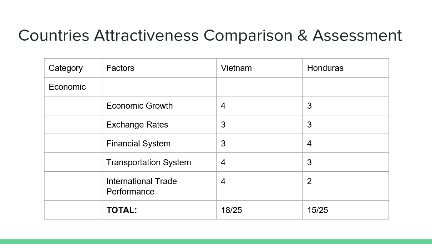 Every analyzed factor in each category is scored) to arrive at a conclusion of attractiveness by category (P.E.S.T.) and overall for each country.